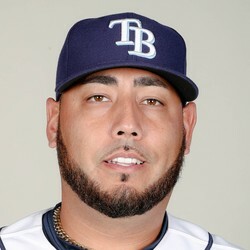 Vidal Nuno received the win on Tuesday against the Marlins. He pitched two scoreless innings allowing one hit and one walk while fanning three. He lowered his season ERA to 1.50. Nuno's most impressive feat of the night was he went 2-for-2 with an RBI. Nuno is not a fantasy viable player. If he could take over a steady role with the Rays his value could be reconsidered at that time.